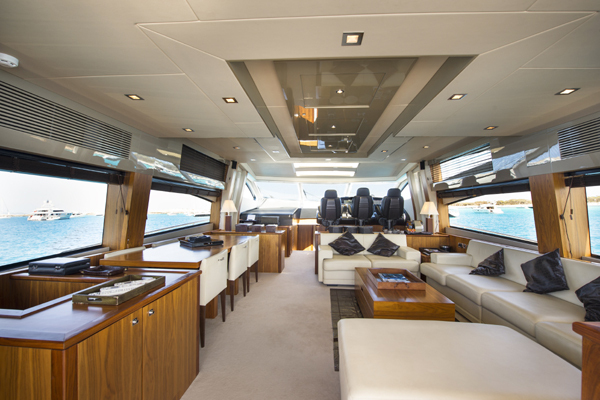 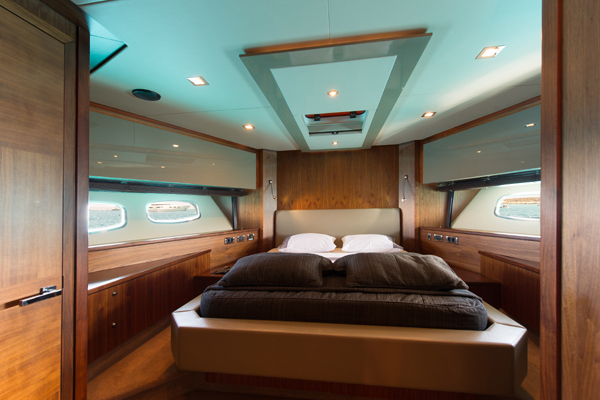 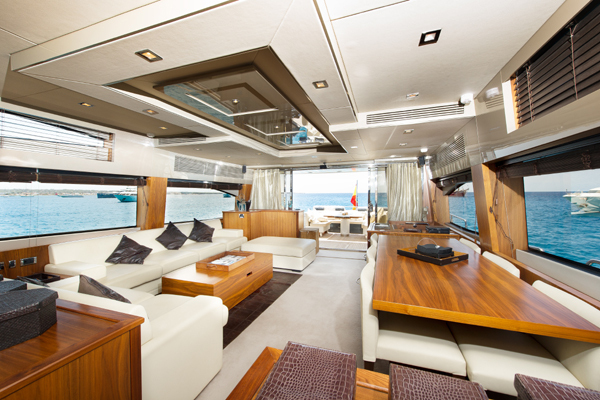 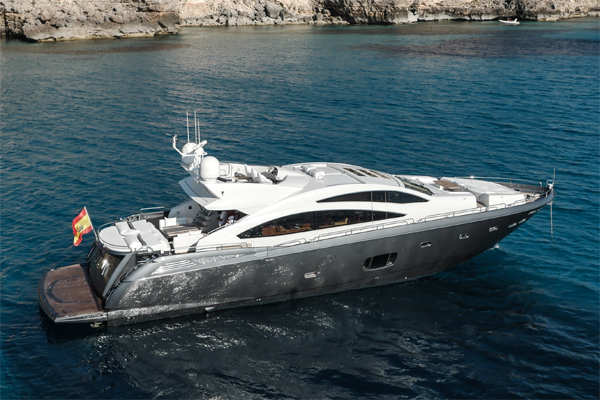 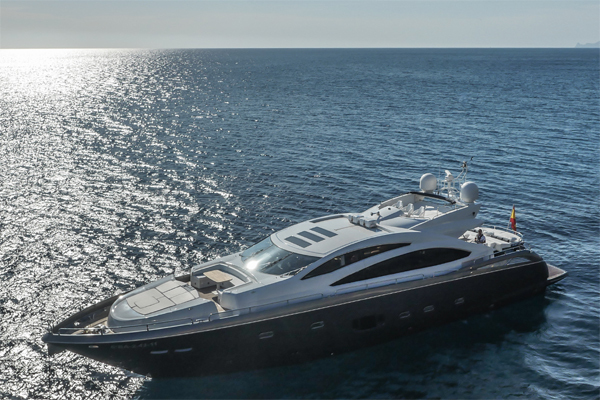 ALVIUM is an amazing and elegant Sunseeker Predator 84' with excellent performance and perfectly maintained interior. 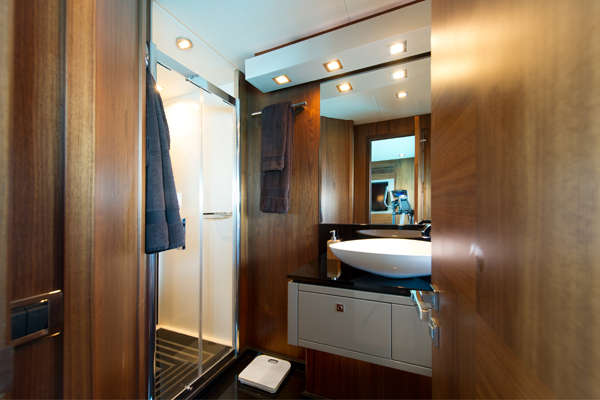 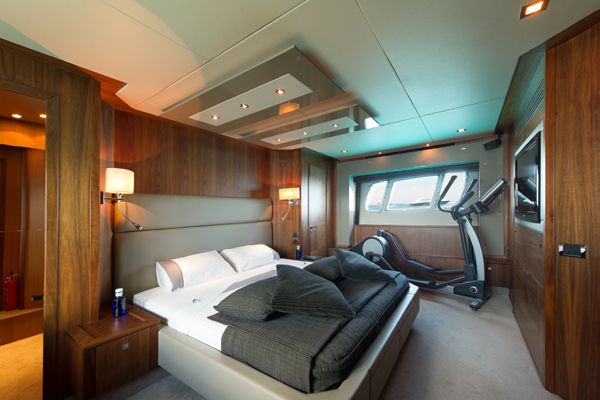 ALVIUM hosts up to 9 guests in 4 delicious cabins, 2 double full beam suites both with en-suite services, 2 twin cabins, one of them with a third pullman bed. 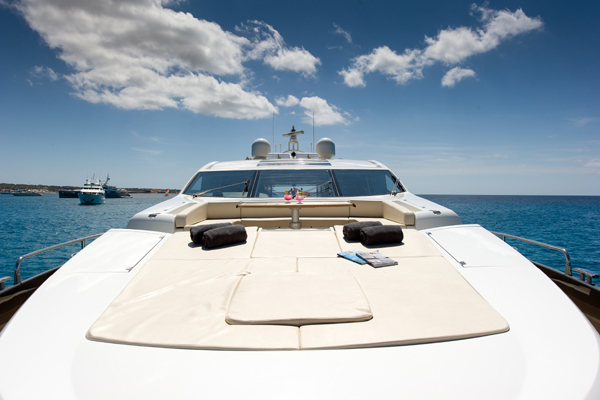 ALVIUM has an hydraulic swimming platform, perfect to easily access the sea. 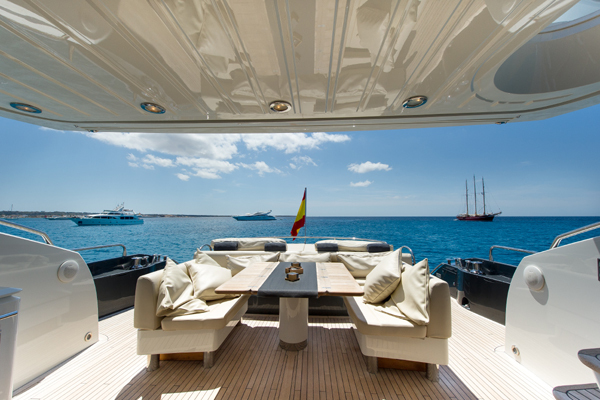 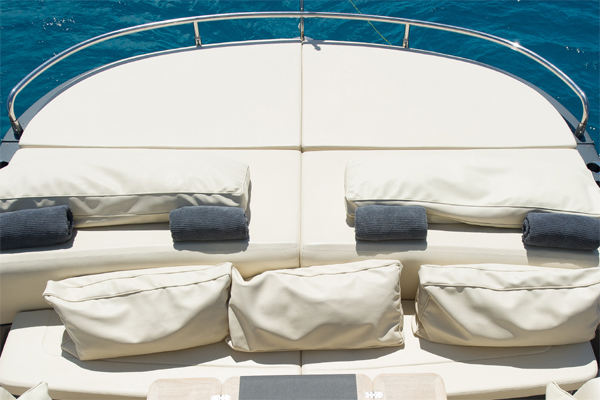 Rates include: Mooring fees in Marina di Ibiza, hire, crew in the number indicated, yacht's insurance, yacht's laundry. 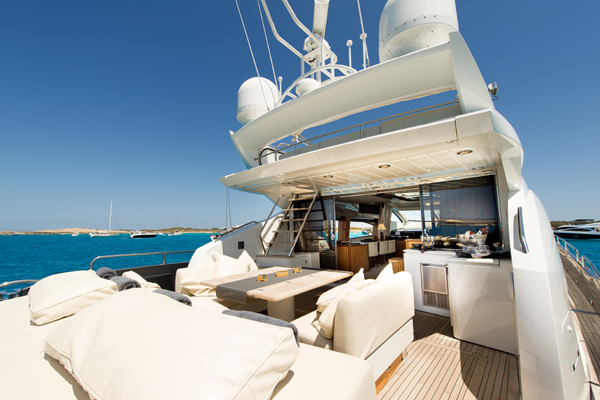 Rates do not include: Vat (if applicable), food and beverages for guests, fuel for the yacht, for the watercraft and the dinghy, personal communications fees (internet, fax, if on board), personal laundry fees.